Dutchess County Executive Marcus J. Molinaro will host a Town Hall Forum on Thursday, March 20th at the Wappinger Town Hall starting at 6pm. The County Executive will share highlights from the 2014 State of the County Address and invites residents to share their input and questions in an open dialogue about the county issues most important to them and their families. The forum is open to the public and all are welcome to attend. Registration is requested and can be done by emailingcpillus@dutchessny.gov or calling (845) 486-2000. The Wappinger Town Hall is located at 20 Middlebush Road in the Town of Wappinger. 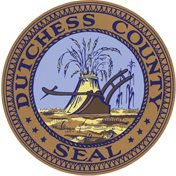 Posted in County Business and tagged Dutchess County, Dutchess County Executive Marcus J. Molinaro, Francena Amparo, Town Hall, Wappinger on March 19, 2014 by Dutchess County Legislator Francena Amparo.